In the US, 5.7 million students in grades K-12 attend private school. In fact, there are 34,576 private schools in the United States. With so many options, how can parents looking for schools know where the top private schools are? Read on to learn what you should look for in the best private schools in San Diego. 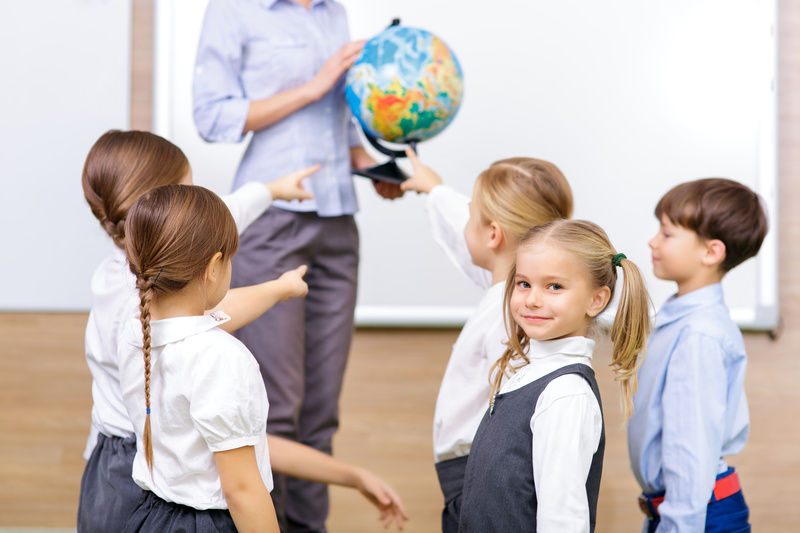 The top private schools in San Diego have some of the most qualified teachers nationwide. You can learn a lot about the quality of education based on the quality of the faculty at the school. Carefully look at the qualifications of the teaching staff. Do they hold advanced degrees? Are there specialized faculty and support teachers at the school? Look for a school that has dedicated STEAM teachers. Does the school provide opportunities for professional development such as conferences, workshops, and so on? Of course, just as important as formal qualifications is the love of teaching. Take a private school tour and meet some of the teachers. See if you can tell if they are passionate about what they teach. The best private schools will offer a wide range of courses providing students with an expansive educational base. Science, music, arts, foreign language, high-level math, and technology courses should be part of the school’s curriculum. Depending on your child, you may also want to know about creative writing courses or which options for second languages are on offer. Some of the most important school questions you need to ask a private school are about class sizes and student-to-teacher ratios. One of the benefits of private schools is that typically class sizes are much smaller than in the public school system. Smaller class sizes mean more individualized learning for students and more attention from the teacher. This often leads to personalized attention and more student engagement. Make sure to ask if the school offers individualized learning and differentiated instruction if your child has specific learning needs. Find out if your school has a cap for classroom sizes. Or if they use teacher’s aides or assistants in the classroom. Remember, not all private schools focus on individualized learning for its students. You’ll have to ask questions to find out how a specific private school makes the most of the small class sizes and ratios. At some private schools, extracurriculars are mandatory. At others, they are on offer and up to the students to choose what they want to participate in. Top private schools will have a wide range of after-school options to appeal to a wide variety of interests. Things such as robotics, sports, ballet, and choir are all examples of the types of extracurriculars you might expect to see at top private schools. When you go to a private school tour, be sure to ask when and how often extracurricular activities take place. Some schools charge extra for these activities while others include them in the cost of tuition. You might also ask how the school determines which programming to offer. Are children able to suggest extracurriculars they are interested in? How often are new programs added? When you’re looking for schools to send your children to in San Diego, a key consideration is the availability of technology. The World Economic Forum estimates that 65% of children right now will end up in careers that don’t exist yet. Having access to the latest technology in the classroom is vital to preparing kids for jobs in the future. Find out how they integrate technology into the curriculum and how and when students use technology. It’s not enough to know what technology resources the school has. You’ll want to know specifics such as how many tablets or circuit boards are available for use in the school and how often each class uses them. Private schools can have diverse missions and goals as an institution and for their students. Some place emphasis on meeting the educational needs of all the children, others focus on college preparation. Find the best private schools in San Diego by carefully reviewing each school’s mission and values. This way you will be able to find a school that aligns with the values you have in your family. Public schools must keep religion out of the classrooms. But private schools can be founded on religious beliefs and have it as a core component of their values. There are various types of religion-based private schools from Catholic to Jewish to Lutheran. Typically, you can choose to send your children to a religious school even if you are not of that faith. Private schools based on Christian values welcome and embrace students of any religious, cultural, racial, and socioeconomic background. San Diego private schools have differing requirements on parental involvement. Find out about the school’s culture of getting parents involved. You may be asked to join at least one parent-led committee. Or to help in the classroom once a month. Understanding what the school expects of parents can help you make the right decision on which private school is best for your family. Thanks for reading! We hope this article on the best private schools in San Diego helps you know what to focus on when doing private school tours. Remember, the best private school is the one that is right for your children and your family. Schedule a tour at Notre Dame Academy in Carmel Valley to discover excellence in preschool through 8th-grade private Catholic education.